Epic is the only word that could possibly describe what is about to go down at Regal Cinemas Atlantic Station in two weeks. 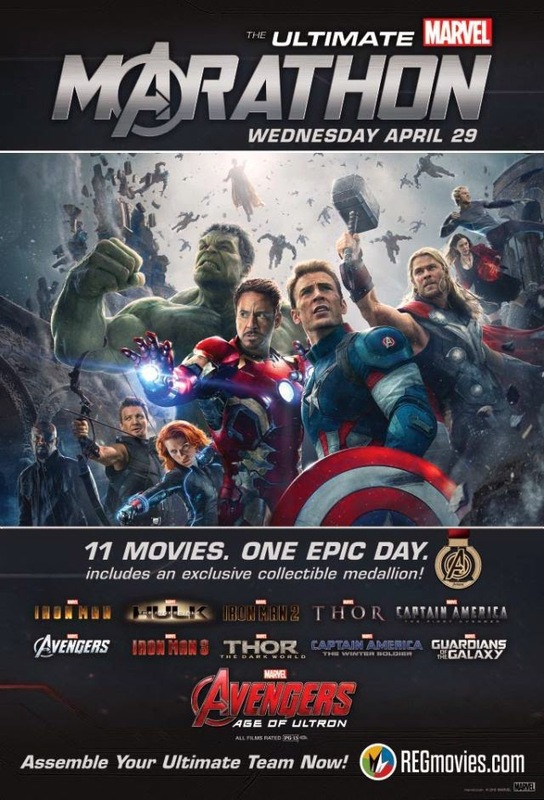 Atlantic Station is the only place in Georgia where you can see the 29-hour, 11 film Marvel Movie Marathon that culminates with the world premiere of The Avengers: Age of Ultron. Tickets are available now at Fandango.com for $65, which averages out to $5.91 a movie. Giveaways, commemorative keepsakes, and a drawing to attend the world premiere of Ant-Man (filmed right here in Georgia) will help keep movie-goers lively during this truly epic endurance test.